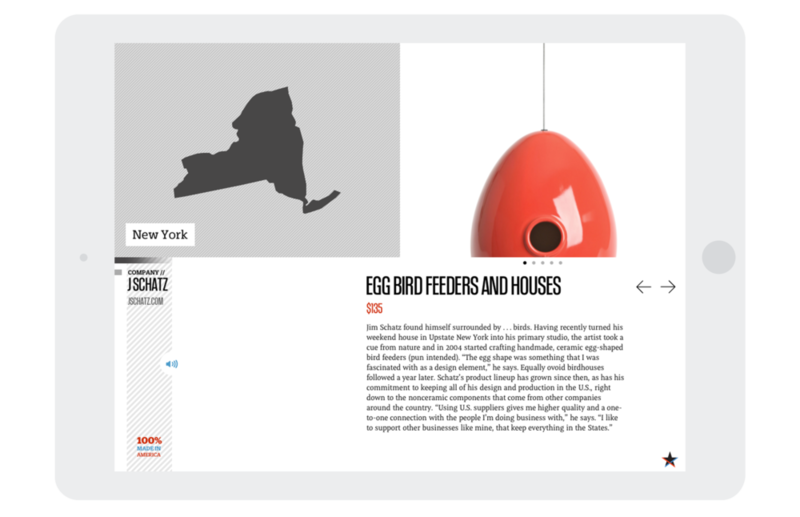 The iPad app accompanying Fast Company’s 2011 Masters of Design issue features curated collection of American-made goods. The app includes audio and video clips, 180 degree views of products, and the ability see how a product might fit into a space using the camera on the iPad. Some of the products were available for purchase at Fab.com's exclusive online pop-up shop. Project completed at Socialistic under the creative direction of Justin Crawford in 2011.